Home » Hotels » Using Amex points for a Fine Hotels and Resorts booking vs transferring to the partner program. I’m a huge advocate of using credit card transfer partners, and while it USUALLY means a far better value, it shouldn’t be your default position. Case in point. I’m looking to travel through Doha in the beginning of April, and am considering a variety of hotels from Marriott, Hyatt, and IHG. In checking my options I wanted to weight out the pros and cons of whether it would make more sense to pay outright and book with Virtuoso/Amex FHR benefits or transfer into one of the hotel loyalty programs. Let’s look at Sharq Village, a Ritz Carlton hotel. If I were to book via Marriott and use points…it would set me back 35k points. I could populate my Bonvoy account from either Chase or Amex. Not only does this hotel represent a savings in points needed to book the room, but I will also enjoy all of the benefits of FHR. In fact, the FHR benefits provide $150 worth of value per room. Will you get hotel loyalty points and elite nights as well? You should. In the past FHR would earn you status nights and loyalty points in addition to Amex points for the stay. 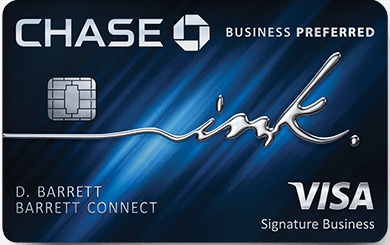 Then Amex introduced 5x points via FHR and a big question was raised. Would you still earn the hotel loyalty points and status nights? Correct me if I’m wrong, but the evidence I’ve seen and heard is that you do. If that’s the case, since using Amex points is buying the night, it serves us to believe that using points to pay for the room would also earn you hotel loyalty points and elite nights as well. Everyone values their points differently, and this certainly isn’t the best value for using Amex points by my standards. In fact, it’s only getting a penny a point, and it damn near kills me to get less than two cents. That said…if you’re sitting on an absolute grip of points, which a lot of small business owners are, and you’re looking to get the best value at specific properties, don’t overlook using your points to simply pay for the room instead of transferring into a partner program. In this scenario, it’ll not only save points, but provide incredible benefits during our stay. Previous Article Sale ends today: Buy Alaska miles with 40% bonus. Wouldn’t cash via the FHR be the best option? At a 1cpp, you would be better off transferring via the Schwab platinum at 1.25cpp, then paying cash, no? +1. Unless you’re sitting on a giant pile of points, why not pay cash? Sorry, pay by card but not using points?